Running a Hybrid Cloud? Are you tracking usage and costs? At Microsoft Ignite 2015, 72 percent of IT professionals polled said cloud usage and cost tracking are essential for business management. When not in conflict with other departments, many administrators struggle with efficiently tracking resource usage and costs. This issue was too clear with a major networking vendor. Their administrators spent countless hours each month manually tracking resource consumption. Since this method was prone to human error, the vendor deployed CloudBolt to automate their reporting process. Doing so allowed them to improve the accuracy of cloud usage and cost tracking across five hypervisors and public clouds. In addition to manual cost tracking, some administrators also manually control resource distribution. Due to limited IT resources, a leading data storage provider’s administrators are afraid of end-users spinning up VMs from a self-service IT portal. The concern came from the idea that administrators would be unable to control how many VMs end-users provisioned. In response to this concern, CloudBolt allows administrators to set quotas that prevent end-users from running over their allotted resources. CloudBolt also allows administrators to set thresholds that alert them when resources are reaching max capacity. Taking an automated approach lightens administrators’ workload, allowing them to be more productive in areas that were previously neglected. So, whether a company needs to improve the provisioning process, measuring or controlling of IT resource consumption, they should consider deploying a self-service portal. Fortune 500 companies, educational institutions, government agencies and even the City of London have recognized the need for automated self-service tools, and they all chose CloudBolt as the solution. CloudBolt has been recognized for its market leading time to value. With that in mind, simply submit a download request and test it out at any time. Let’s look through a fictional situation that likely hits a little close to home. An enterprise IT shop receives a developer request for a new server resource that is needed for testing. Unfortunately, the developer request doesn’t include all of the information needed to provision the server, so the IT administrator goes back to the developer, and has a discussion about the number of CPUs, and the amount of RAM and storage are needed. That email back-and-forth takes a day. Once that conversation is complete, the IT admin creates a ticket and begins the largely manual workflow of provisioning a server. First, the ticket is assigned to the storage team to create the required storage unit. The ticket is addressed in two days, and then passed on to the network team who ensures that the proper VLANs are created and accessible, and to assign IP addresses. The network team has been pretty busy, though, so their average turnaround is greater than four days. Then, the ticket is handed off back to the virtualization team, where the instance is provisioned, but not until two days later. Think it’s ready to hand off to the user yet? Not yet. 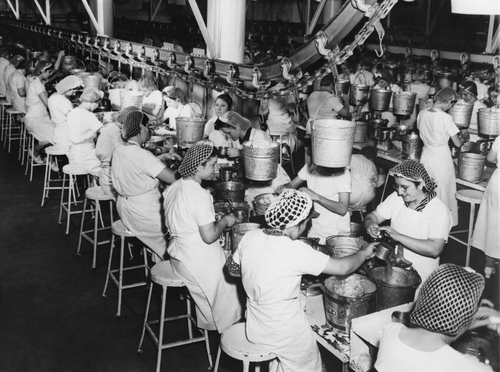 An assembly-line model cannot deploy VMs as rapidly as needed. Automation is required. The team that manages the virtual environment and creates the VMs is not responsible for installing software. The ticket is forwarded along to the software team, who, three days later, manually installs the needed software on that system, and verifies operation. The virtual server is still not ready to hand off to the developer, though! You see, there’s also a security and compliance team as well, so the ticket gets handed off to those folks, who a few days later, run a bunch of scans and compliance tests. Now that the virtual resource is in it’s final configuration, it’s got to be ready, right? Nope. It gets handed off to the configuration management team who then must thoroughly scan the system in order to create a configuration instance in the Configuration Management Database (CMDB). Finally, the instance is finally ready to be delivered to the developer that requested. The tally is just shy of three full business weeks. What has the developer been doing in the meantime? Probably not working to his or her full capacity. Or, maybe that developer got tired of waiting, and after two days went around the entire IT team and ordered an instance from AWS that took five minutes to provision. The developer was so excited about getting a resource that quickly that they bragged to the fellow developers, who in turn start to use AWS. Either way, this is a scenario that plays out repeatedly, and I’m amazed at how frequently it plays out just like this. The result might initially appear to just be some shadow IT, or maybe some VM sprawl from unused deployed instances, however, the potential damage to both the IT organization and the business is far greater. First, users frequently circumventing the IT organization looks bad. These are actions that question the IT organization’s ability to effectively serve the business, and thus strike at the very heart of the IT group’s relevance. Furthermore, the IT Consumers are the business. Ensuring that users have access to resources in near-real time should be a goal of every IT org, but rapidly adjusting and transforming the IT teams and processes doesn’t work as quickly as demand changes. This means that the IT org cannot respond with enough agility to continually satisfy the business needs, which in turn potentially means more money is spent to provide less benefit, or even worse, the business misses out on key opportunities. IT shops need to move beyond simple virtualization and virtualization management. Why? Improved virtualization management does not solve all of the problems presented in the scenario above, while (and this is key here) also providing for continued growth. Implementing tools that only manage virtualization only solve part of the problem, because they are unable to properly unify the provisioning process around software (by going beyond plain template libraries with tools like HPSA, Puppet or Chef), and other external mechanisms (like a CMDB). In order to fully modernize and adapt existing processes and teams to a cloud/service oriented business model, all aspects of the provisioning process must be automated. It’s the only way an IT organization can hope to stay responsive enough, and avoid being locked into one particular solution, such as a single-vendor approach to virtualization. A well-designed and implemented Cloud Manager will give an IT org the freedom to choose the best underlying technology for the job, without regard for how it will be presented to the end user. Either way you look at it, IT organizations need a solution which will allow them to utilize as much of their existing assets as possible while still providing the governance, security, and serviceability needed to ensure the company’s data and services are well secured and properly supported. 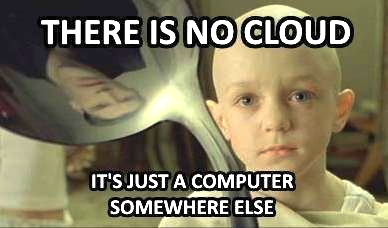 Thankfully, there’s just such a Cloud Manager. CloudBolt C2 is built by a team with decades of combined experience in the systems management space, and was created from the beginning to solve this exact problem. Because we started from the first line of code to solve this entire problem, we call ourselves the next-generation cloud manager, but out customers call it a game changer. Give it a download and effortless install today, and we’ll show you that CloudBolt C2 mean business. I’m not sure that many CIOs would tend to agree with that statement, if for no other reason that the risk to business be it real or perceived. CIOs certainly see what can be done, but the implementation of a public cloud-like model often stands in juxtaposition from how their IT Organization was built to operate. It’s not just a drastic change to the technology model, but also a groundbreaking adjustment to how the team operates on a day-to-day basis. For that reason alone, it’s not as easy as just deciding to alter the resource provisioning and request model. There are real tools that are needed, and few are able to effectively offer the needed capabilities without actually replacing existing technologies. 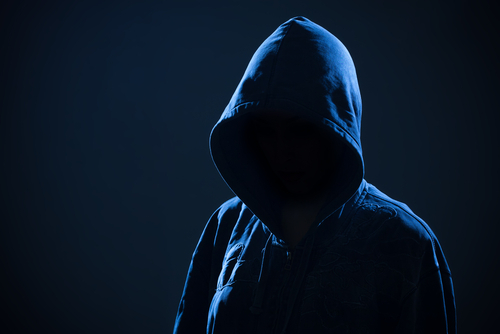 CIOs need to learn how to benefit from the decisions made by shadow IT. As Michael correctly claims, strategic CIOs absolutely get that the opportunity for cloud computing lies not just with the technology, but also with the technology’s ability to enable IT organization transformation to be more responsive to the business. Organizations can even create new revenue opportunities. Selecting the correct tools to enable this transformation is the key. CIOs need to select the tools that allow them to both most fully leverage existing capabilities and expertise. There is little value migrating away from proven technologies that organizations have already spent significant sums procuring and implementing. Of course, I’m talking about a Cloud Manager here. A good one needs to integrate with, not replace existing technology. Once a Cloud Manager is deployed, CIOs will have the flexibility needed to make additional technology selections. Want to implement OpenStack? Want to pull in entire application stacks and present them as PaaS? How about leveraging an updated configuration management/data center automation tool? No sweat. The right Cloud Manager helps CIOs get there. Finally, what I will agree with, however, is the notion that CIOs can learn from the delivery models of Public Cloud-based compute, in order to alter their way of doing business. In fact, they have to. IT organizations are under an amazing amount of pressure to perform. Even in organizations that have effectively curtailed the usage of shadow IT, the IT organization just looks bad when it takes them three weeks (or more!) to deploy a server for use by someone in the business. “I do not advocate that IT give up control and allow business units to adopt any old technology they want. However, IT needs to face reality: For the past three decades or so, corporate IT has been slow on the uptake around the use of productive new technologies." Cloud has the ability to drastically alter that model. In a way, IT organizations can’t just get out of the way and let their users do whatever they want, but if they don’t learn from those cues, they’ll need to find other employment. With an effective Cloud Manager, such as CloudBolt C2, CIOs can present the entirety of their virtualization resources as private cloud, and enable public cloud resource consumption as well, all while ensuring that IT management has control over governance, and total visibility into the cost impacts of various deployments. For CIOs that wish to remain relevant, it’s a must.